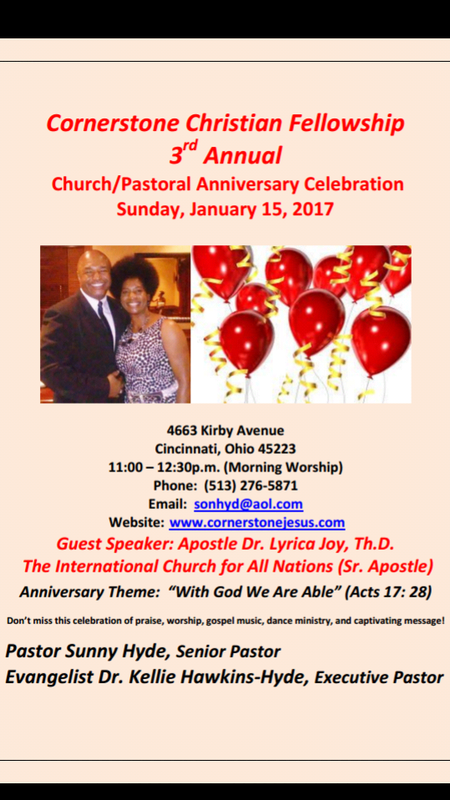 GUEST SPEAKER: APOSTLE DR. LYRICA JOY, TH.D. Women's Symposium 2016: "A New Place of Freedom" on Sat. December 17th@ 4:00p.m. Dr. Kellie Hyde Preach @ Payne Chapel A.M.E. on Oct. 16th @ 11:00a.m. Come on out and support!! Good Friday (7 Last Words) Evening Service@ 7:00p.m. 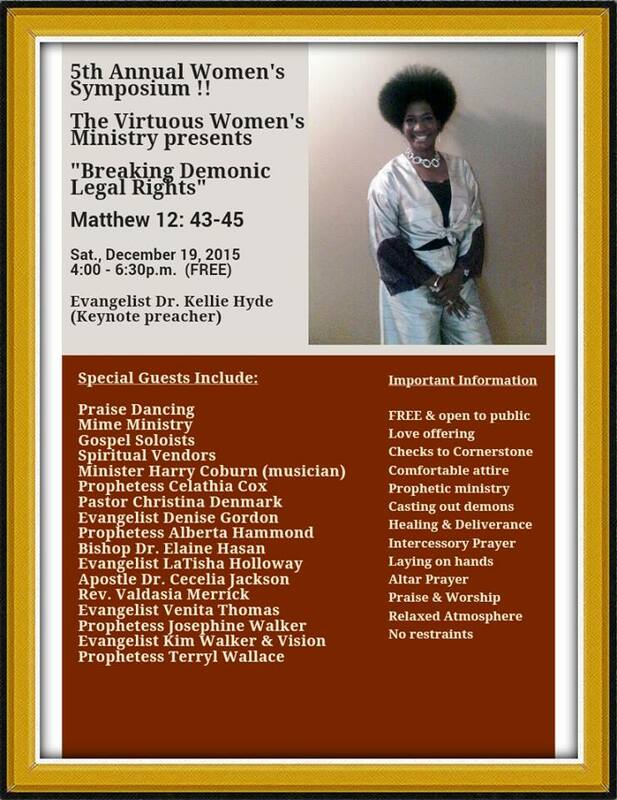 Women's Symposium 2015: "Breaking Demonic Legal Rights"
Dr. Kellie Hyde Preach in Kentucky on Sunday, August 9, 2015 @ 4:00p.m. SIZZLING SERMON SUNDAY ON SEPTEMBER 21ST @ 4:30P.M. FREE Backpack and Supplies Giveaway on Saturday, August 23rd! !